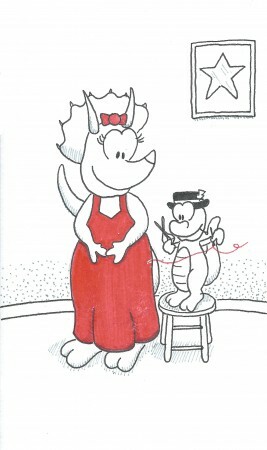 Custom tailoring for the finest dinosaur women. My girlfriend has been sewing and stitching a dress for a play. Currently, it’s a red dress for one of the lead women in the show. I’m looking forward to being in the show myself and entering back into the world of acting as an adult!